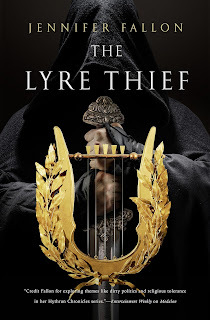 Fantasy Book Critic welcomes Jennifer Fallon to our blog today to celebrate the release of her new book The Lyre Thief. 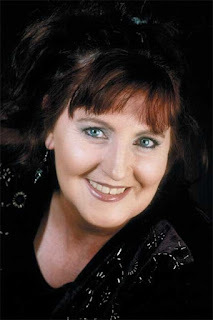 Jennifer Fallon is the author of many beloved fantasy series, including the Hyrthrun Chronicles. 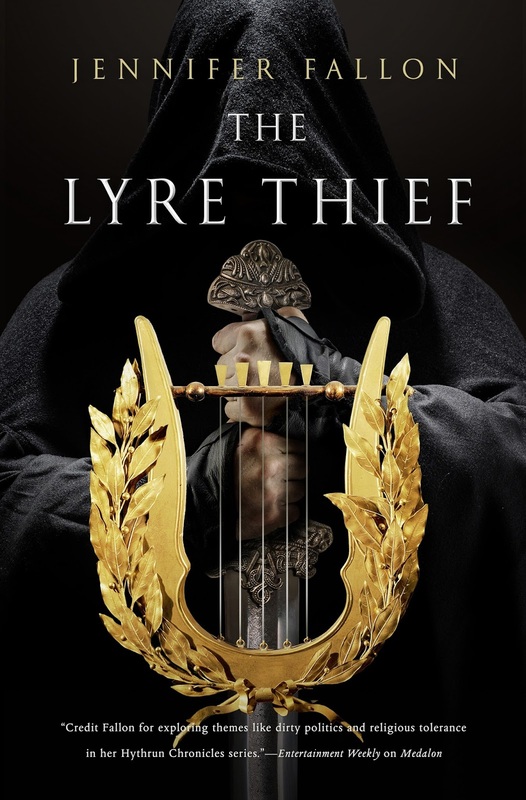 The Lyre Thief is the much anticipated sequel series to The Demon Child Trilogy. Jennifer Fallon has stopped by to share with us why she decided to write a sequel to The Hyrthrun Chronicles. The Lyre Thief is schedule for release March 8, 2016 from Tor Books. A huge thank you to Jennifer Fallon for taking the time to stop by today. to the Demon Child Trilogy. (On the off days the emails ask about Second Sons, Tide Lords or the Rift Runners). I was first asked to do this in 2001 by Tor. In fact, the prequel trilogy, the Hythrun Chronicles came about because when the Tor offer came in for the Demon Child Trilogy, they wanted to know if there was anything else on offer, so my agent suggested I “bash up a synopsis” for a sequel. As I only had an afternoon in which to do this, and couldn’t think of anything remotely resembling a plot – although, I’ll admit the goat-herder/lost prince scenario was tempting, as was the raw-talent misfit kid going off to magician school – I shamelessly raided the back story of the Wolfblade family and offered it up as prequel, thinking I would never have to write it. My agent assured me nothing more would come of it and I went back to planning Tide Lords, which was the project I really wanted to work on at the time. When the offer came in from Tor, it was for the full six book series. Tide Lords was shoved aside (OK... you have to understand it was a very nice offer) and I set to work creating the Hythrun Chronicles (Wolfblade, Warrior and Warlord). It made my head hurt, writing a prequel I never intended to write to make it fit the other series. For almost a year on my whiteboard there was a list entitled These People Must Die which was the names of all the characters I had to get rid of by the end of Warlord (Book 3) to explain why they never turned up in the Demon Child Trilogy. The upshot of this was that by the time I was finished the Hythrun Chronicles I was convinced I had a brain tumor and was ready to nuke Medalon, Hythria, Fardohnya and Karien and turn the entire world into a molten lump of rock. What stopped me from pursuing it until now is that I feared the series was suffering from Buffyitis – that’s a condition you get when you are faced, over and over, with the apocalypse to end all apocalypses, and you have to find a way to make it interesting, not to mention plausible. Then then, a couple of years ago, as I was lying underneath a radiation machine being zapped for breast cancer, I finally had idea for a plot. And it didn’t feel forced and it didn't feel like I was rehashing the apocalypse. I was a little disappointed, however. I was hoping for a thunderstorm, a power surge and a superpower out of it, but the technicians told me that doesn't happen very often… who knew? And I adore them. I hope you will too. JENNIFER FALLON is the author of The Hythrun Chronicles, and one of Australia's bestselling fantasy authors. She lives in New Zealand. You can find her online at JenniferFallon.com, facebook.com/Jennifer.Fallon.writer and @JenniferFallon. Oh thank heavens! I'm in love with you all over again. Almost everything new I've read over the last year has bored me to tears. You have given me hope for the genre again. And just in time for my birthday!